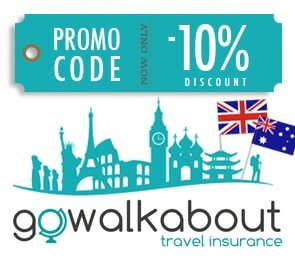 If you want to work in a city like Sydney, Melbourne or Perth, working in hospitality is a common way for backpackers to get money while making new friends and without being in the middle of nowhere. Bars, pubs, hotels and restaurants employ a large number of backpackers, especially in the summer season. However, there is also a lot of demand from backpackers for this type of work, so try and arrive early in the season to be able to find a job easily. These jobs are often quite well-paid, from $20 to $25 per hour (sometimes more during the weekend). The minimum wage is currently $18.93 per hour. Some employers try to pay less, but that’s not on. Don’t let anyone exploit you! Remember that in Australia, you need a certificate for jobs in which you serve alcohol. You can obtain the RSA certificate by completing a day of training either in a classroom or online. Budget is about $100 to get your certificate – The price depends on the state. Note: Each state has its own legislation regarding the RSA certificate, so it may only be valid in the state where you obtained your RSA certificate! Everything you need to know about the RSA certificate in Australia. In Australia, it is quite common to do courses to get a job in a cafe or pub. Barista courses for example are pretty popular, and will give you more opportunities and confidence! Some employers may require this type of qualification before interviewing an applicant or suggesting a trial. The best way to get a job in hospitality is walking around with copies of your resume. Many restaurants and bars have signs on their windows or doors saying they’re looking for staff. Make sure that you ask for the manager or owner. Talking face to face with the person responsible for hiring increases your chances of getting a job in hospitality. Also ask prospective employers if they know someone who is looking for a new employee. You can also find jobs on Gumtree, which is more convenient but sometimes less effective. Remember: First come, first-served. So make sure that you check the ads on Gumtree regularly. Another famous website for hospitality jobs is Seek. Very common in large towns are employment agencies. You may need to go there every day to find out about new job offers as soon as they are put up. You usually register in their database and provide a CV. Keep in mind: Sometimes you need to be patient because the job search may take several weeks. Stay motivated, keep making an effort, and in particular, meet people, let them know you are looking for a job. Word of mouth is always effective in Australia! In hospitality it is quite common that you have to do a trial before you get hired. Trials are usually unpaid. You demonstrate the skills that are relevant to the position you are applying for. A trial usually ranges from an hour to one shift. During your trial you will be under direct supervision of the employer for the entire time. But don’t be nervous and be yourself. They only want to see if you are not completely untalented. Smile and be friendly and attentive to customers. Keep your eyes open for tables that need cleaning and always clear empty glasses or cups from tables when you’re on the way to the kitchen. Maintain a good pace without stressing if it’s busy. By the way, managers sometimes forget to mention that you should wear comfortable runners unless it’s a posh restaurant. If in doubt, wear black or unobtrusive colours. Have fun! Jobs in hospitality are a great way to work while being social! 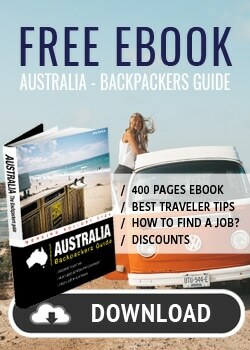 Find out more information and tips about jobs in hospitality in our Australia Backpackers Guide! You are looking for other jobs in cities? 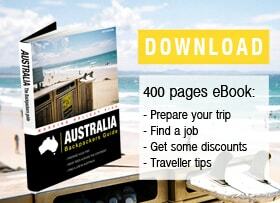 Download the Australia Backpackers Guide and find everything you need to know about jobs in housekeeping, shops, factories, construction or other types of casual work.